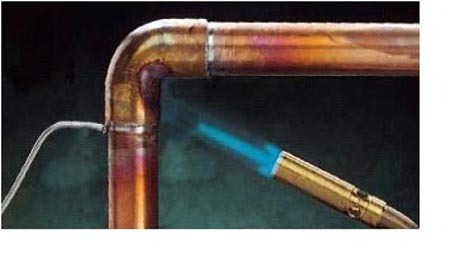 Home re-piping is a significant investment in anyone’s book. It’s not something one does voluntarily, but is all too often necessary with older or decrepit homes. Here at Flat Rate Plumbing Company we did see an increase in demand for this service over the past couple of years. Home renovations and flipping were happening all over the place, and we were being called in to do re-piping work all the time, especially in the Grand Prairie Texas area. The work is long and complex. It involves removing all the old pipe work from the property and replacing it with new, modern pipes. This inevitably involves removing walls and floors, clearing out bathrooms and kitchen cabinets, and often even digging underground. A complete home re-pipe involves everything from the mains inwards. We start at the beginning and remove all the old material. Pipes, sinks, faucets, appliances, water heaters, the works. Then we lay the new pipes and fit them along the original runs if we can. Depending on structural changes taking place, we often have to make new runs for the pipes to follow. This can involve drilling though joists and walls in order to keep the run level until it gets to its destination. Once we have the inward pipes fitted, we work on the outward ones. The waste pipes. These are more straightforward as they are most often run to the nearest external wall and out of the property. Next comes the pipe work for the water heater. The pipes are run from a spur on the mains and run to the proposed site of the heater. Depending on how advanced or involved the renovation is we may connect the pipes to the heater or leave them for a later date. If there are any external taps of pool pumps to run we do those next. Once the pipes are laid out they are tested while we connect any electrics needed for pumps, the water heater and anything else. We leave the final connections until the property is almost complete then make the joins and test the whole system. It has to be pressure tested to check for leaks before the floors and walls are replaced, then they can be sealed away if there are no issues. We are also called in to new builds sometimes to lay the pipes. Plumbing isn’t something a gifted amateur can do much of. There are many aspects of it that you need training and experience for. New builds are often the easiest piping to do as the plans are all laid out nicely from the developer or architect. All we have to do is follow the plan and lay out the system according to that. On newer homes there is an increasing demand for solar water heating. This involves working in roof spaces, and on the roof itself. We only do that on calm days!